Use cleaned and pre-cut slaw mix to speed-prep this exotic, crunchy fermented salad. Discover how fruits can mate with veggies to make a sweet and sour salad loaded with fresh enzymes, probiotic bacteria, and deliciousness. Punch it up with a little ginger, and star anise and discover Asian inspired flavors in this pickled slaw. Grab a couple bags of pre-cut cabbage slaw off the produce shelf, add in some crunchy pear, celery and star anise and ginger to discover an easy-peasy fermented slaw. One of my pickling pals reminded me why I love this pickledom: this is the only recipe she makes! The quickest way is to go ahead and buy angel hair coleslaw or any type of cole slaw that you like. Figure on about 1.5 pounds of slaw mix. What makes it an Asian slaw is that we are going to be using an Asian pear. They look very much like apples. They crunch like a good crisp apple but have a pear taste and they stay nice and crunchy in the brine. I also use Bosc pears, another crispy option. Another ingredient that makes this an interesting flavor is celery, for some crunch and for some nice celery flavor. Lastly, we have a magic powder, something that you have probably never heard of before. 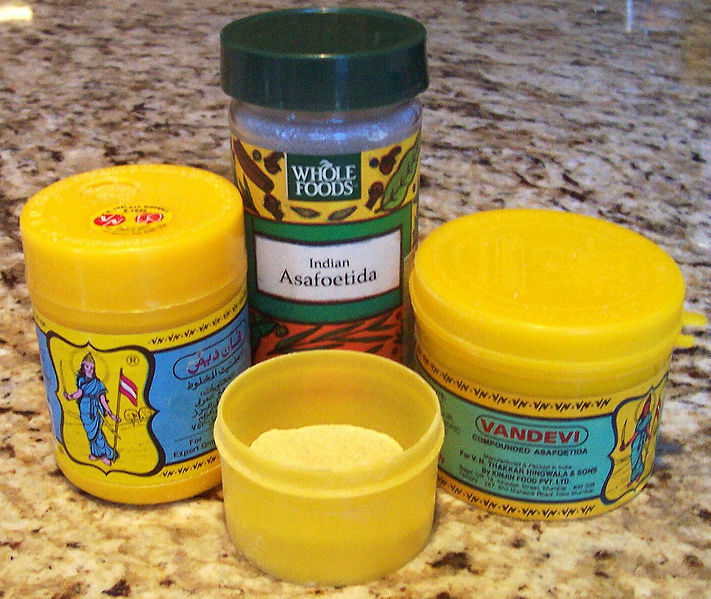 It’s called asafoetida. It’s from Northern Italy and it has also been used in India (known as “hing”). It has a taste of both garlic and onions in instant powder form. It is my go-to spice for a speedy taste of intrigue! It’s actually a resin. You can buy this at Middle Eastern and international markets. Were going to add just a little bit and what I like about that is we are going to have some people who can’t tolerate onions or garlic but still like that flavor and there isn’t any garlic or onion in it. If you don’t have asafoetida, use a cup of diced onion and a clove of minced garlic. The other part to this Asian mix, the spice, is something called star anise. What I wanted to do is to be able to put the star anise in the jar so it’s viewable and adds a little spangle to the recipe. If you didn’t have star anise you could also use 1/4 tsp. ground clove, or allspice. Combine all except the star anise and squeeze mix vigorously to create brine. This may take a few five-minute squeezes. 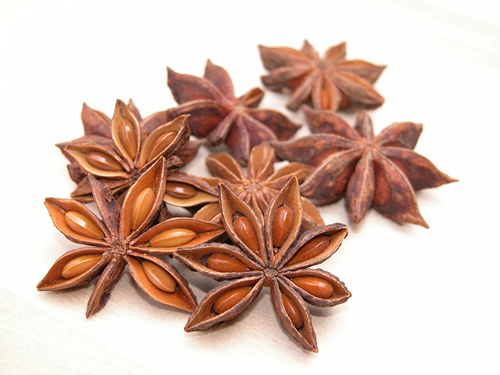 Add 2 star anise to the bottom of a clean one-quart wide mouth canning jar, then pack in mixture. About half way up the jar, add two star anise to the jar to be visible. Complete packing in the mixture until about 3 inches from the jar lip. Lastly add a star anise to the top of the mix.